Do you want to start a blog but you have no idea where to start? I can relate. Before I started this website I had absolutely no idea how to register a domain. Did you know you have to pay to have your content hosted on a server? Uh, excuse me? That sounds pretty intense, doesn’t it? 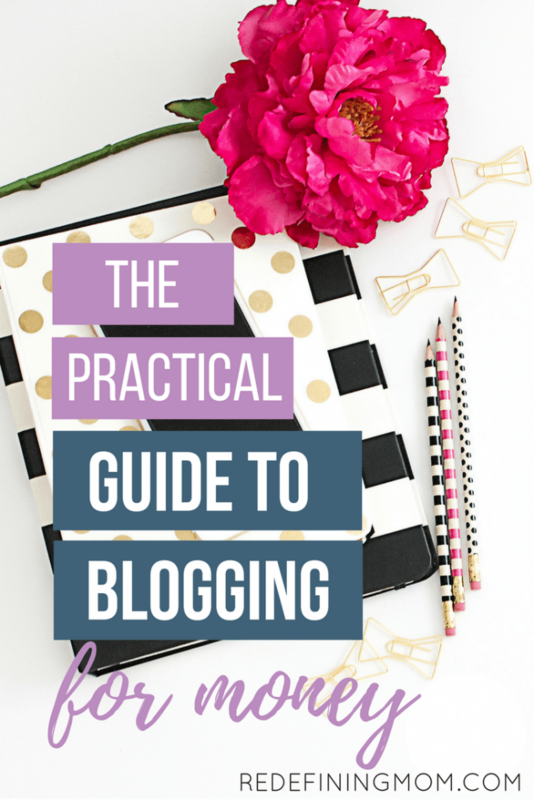 I wish when I decided to start this blog I had a beginners guide to blogging. 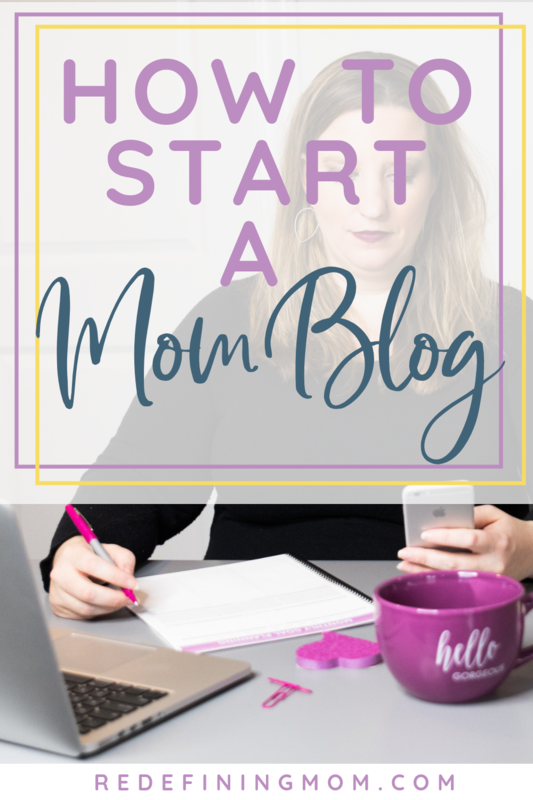 Starting a blog can be overwhelming. There is an abundance of information out there on what to do and how to do it. Naturally, the more information that gets thrown at you, the harder it seems to get started and be successful. Let me tell you, it IS possible to blog for money. I fell into the analysis paralysis trap for over 2 years and it stopped me from making any money on this blog. I finally decided that I had to either figure out the formula to being successful or quit and find another hobby. Now is the BEST time to start a blog! Don’t feel like reading this whole article? Skip to the bottom for the top 9 resources I use to run a successful blog! This article contains affiliate links. I am sharing these resources with you because they have helped me tremendously through my blogging journey. I do not recommend any products in this review that I do not use myself. 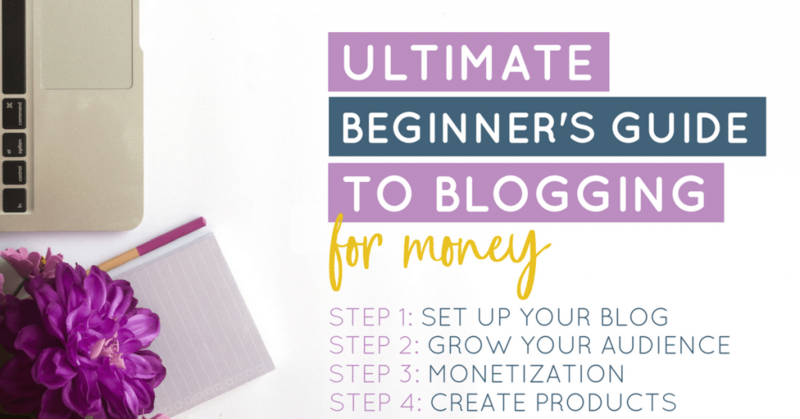 I have identified 4 stages that a blog goes through on the journey to making money. My advice to you is to assess the stage you are in today. Focus your attention on the resources that can help you master those skills before moving your attention to the next stage. 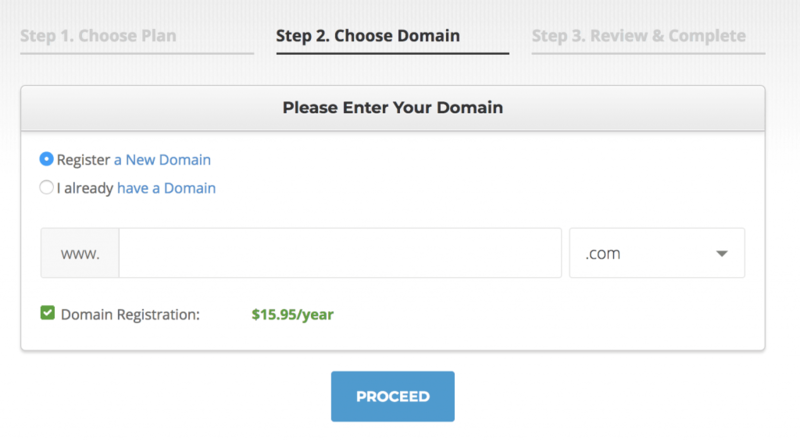 UPDATE: WhoIsGuard is now free for life when you purchse a domain from Namecheap! Make sure the WhoisGuard option is enabled if you don’t want people to be able to find who owns the website (including your name and address). 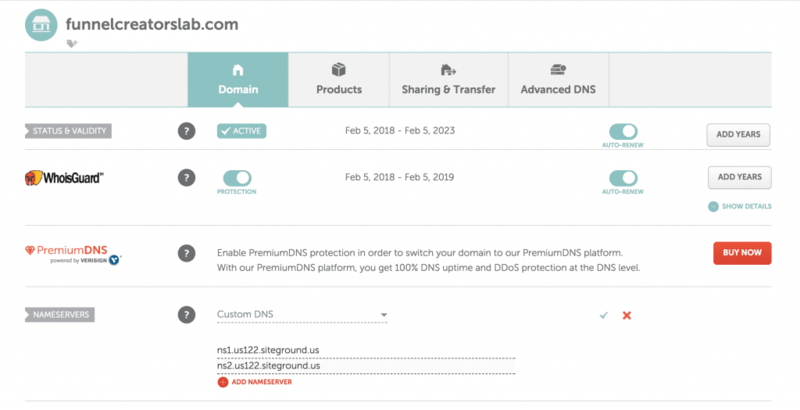 Keep domain privacy selected (if you desire). 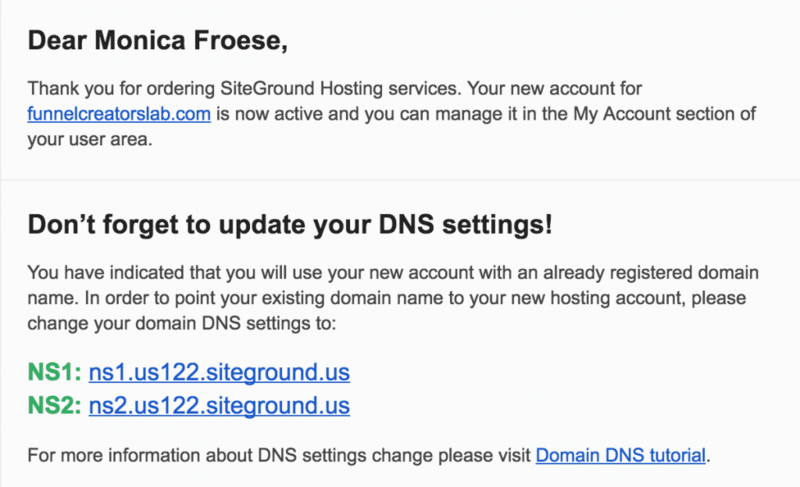 PRO TIP: Siteground’s live support will install WordPress for you. It will take them ~10 minutes while you wait. Make sure to ask them to also set up your (free for 1 year) SSL certificate before installing WordPress. If you’d prefer to DIY, I have detailed instructions on how to start a blog. Restored 316 themes are also a great source for Genesis child themes. During your blogging journey, you will undoubtedly add many plugins to your site. Yoast SEO optimizes your website and articles for Search Engine Optimization (SEO), basically get yourself found in Google search results! See, I told you it was pretty bad! After you’ve set up your website and decided on a brand, now it’s time to get your ideal customers coming to your site! I do not recommend trying to master all of the social media platforms at once. You will quickly discover that using social media to promote your blog is a lot different than using it for sharing personal moments with your friends. Social media is strategic and it takes a lot of time to build your audience on each platform. 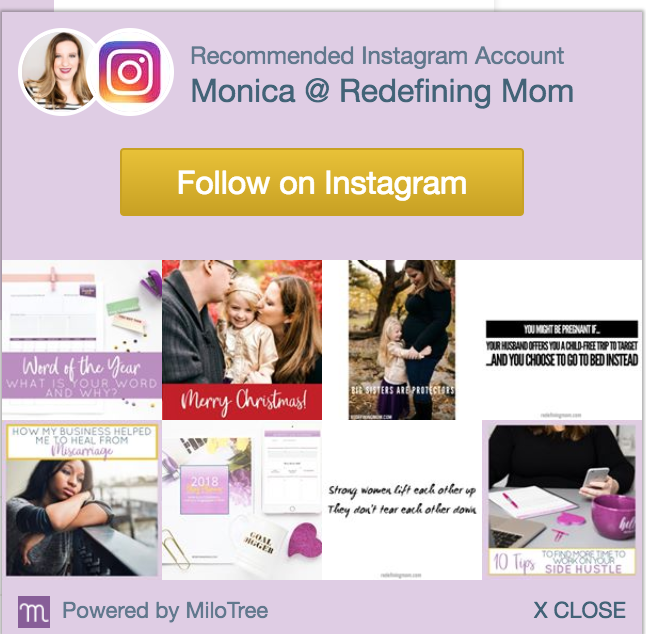 BEGINNER’S HACK: Install the MiloTree plugin on your site to drive people to subscribe to your social media channels. Pin Practical Masterclass teaches you how to turn Pinterest visitors into email subscribers and ultimately make you money! One of the things I put off when I started my blog (for 3 years- yikes!) 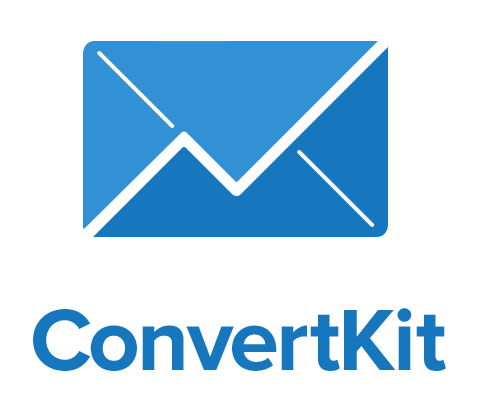 was set up an email service provider so that I could start to collect emails addresses from people who came to my site and would eventually become my customers. To sum this up for you: you don’t own your followers on social media, but you do own your email list! Since we have many anti-SPAM laws, email service providers are required for collecting email addresses and legally sending bulk emails. I use ConvertKit for my email service provider. SEO: Use the Yoast SEO plugin to guide you through optimizing your post for SEO. Another trick to finding relevant keywords is to use Google Trends. Consistent branding: The best way to make sure that you stand out in a crowd is to use consistent branding on your website and photos. As we discussed above, once you decide on your branding colors and fonts make sure to incorporate them into everything you do. Amazing photos: The world is a visual place now. If you want to drive page views to your site (which you need in order to monetize) you must use amazing photographs… every.single.time! Not a good photographer? No problem, there are plenty of public domain photos you can use. Always be sure to read the terms for each photograph to determine if you must give credit to the source. To make things easier, I only use photos I pay for through DepositPhotos. This video is also included in Pin Practical Masterclass. The blogging world is a community. Other bloggers are not your competition, they are your friends! Ask any successful blogger out there and they will tell you that forming real relationships with other bloggers was the turning point in their online career. Local entrepreneur get-togethers: Do a Google search to find one in your area. Attend a conference: This is probably my favorite way to meet new people. Google conferences in your niche to find the one that is best for you. In 2018, I will be attending EBA Activate and Biz Chix Live. In the beginning, the ability to make money will tie closely to your page views. It makes sense, the more people who visit your site, the more ad revenue you can make, the more potential buyers you have to purchase affiliate products, and the more email opt-ins you can add to your growing email list. Look at your top 10 posts and determine the common theme you see that your audience is interested in. Develop your freebie offer around that topic. Hello Bar is a fantastic (and free option) for promoting a call to action like promoting a freebie on your site. Another great way to promote a freebie is to have an embedded form “above the fold” on your website. This means it shows up before the user has to scroll. I have mine show on every single page of my website. I use ConvertKit embedded forms. LeadPages is a paid tool (it cost me a little under $300 for the year) and I purchased it before I made any money on my blog. It was the best investment I have made in my business thus far. Follow me on YouTube for helpful tech tutorials on how to use some of my favorite tech tools including LeadPages! Now that you’ve started to grow your audience, you can start to place ads on your site. Most people start with Google AdSense because they don’t have a page view requirement. The other popular ad networks out there amongst bloggers are Mediavine and AdThrive. I personally have a few Google Adsense ads on my site, but monetizing through ads is not a huge priority of mine. There are a ton of networks that connect influencers (you) with brands. Linqia the great thing about them is that your audience does not have to be huge to get started. IZEA this is a bidding system. Once you sign up and fill out your profile you can begin bidding on campaigns from major brands like Sams Club and Johnson & Johnson. You decide the dollar threshold you are willing to work at. One of my favorite topics to discuss is affiliate marketing! What is affiliate marketing? It’s when you recommend a product on your website and use a unique link with a tracking code so that you get credit for the sale. There is no additional cost to your readers, they pay the same price they would whether you recommended the product or not but the creator gives you a commission for recommending their product and driving sales. It’s a win-win for everyone. The seller drives traffic to their products, you make money for helping them promote their product, and your readers are introduced to products that matter to them. What types of products should you promote? The most important thing to remember is that selling out to make a quick buck is not a way to build a business. Of course, you could decide to recommend products to make quick money but it’s not a sustainable business model and you will not build trust with your readers. The first rule of affiliate marketing is to only recommend products you truly believe in and can give an honest recommendation on. For example, on my blogging and freelancing resources page, I list out a ton of products I use to run my blog. Some of these links are affiliates and some are not but ALL of these resources I use myself and can recommend from personal experience. Your first priority should always be to give your readers truthful and meaningful content that will help them solve a problem. Disclose, disclose, disclose: You must disclose every single time you talk about an affiliate link on your blog and on social media. This is a very hot topic and it’s not only best practice, it’s the law! The FTC (Federal Trade Commission) FAQ’s is a great resource for understanding what you can and cannot do. 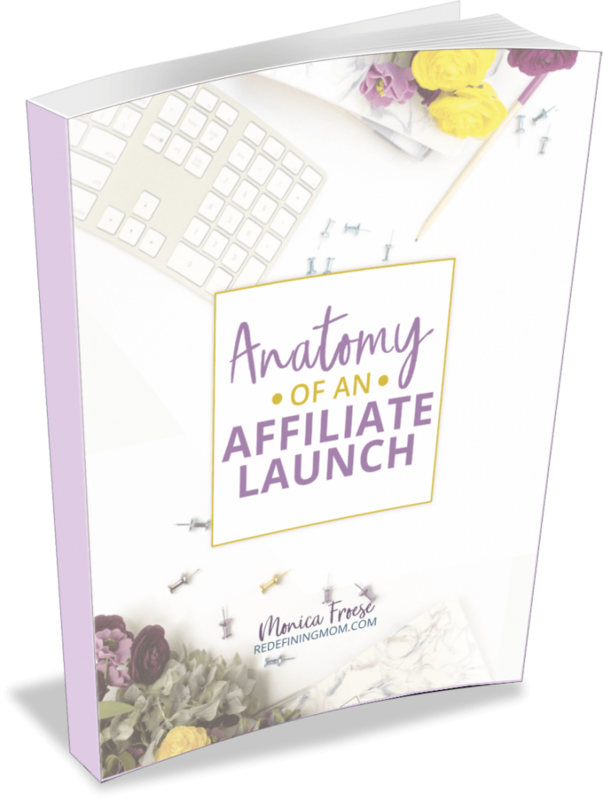 Anatomy of an Affiliate Launch: Get an insider’s look into a $9,000 affiliate launch! Most bloggers agree that the most lucrative way to make money is to create your own products. One of the criticisms of affiliate marketing is that you are sending your readers away from your site to purchase products from someone else. Essentially making them a fan of someone else’s work instead of your own. It’s a valid argument but it doesn’t take into account that bloggers are very collaborative and most understand that blogging is done in a village and not on an island. My recommendation is that while you are developing your own products, strategically take advantage of affiliate opportunities with products and brands you truly believe in. This will help you to establish credibility with the creators of these products and hopefully, you can leverage these connections for testimonials and affiliates of your own products. I just created a launch timeline that shows you the exact steps I used to launch my eBook in 30-days! It’s a Google Spreadsheet which is completely customizable for you to use for your own launch. These are 9 resources I have paid for and reference on a daily basis as I build my blog into an income stream. Each resource serves a different purpose and I will share with you the stage that each resource is best suited for based on my explanations above. 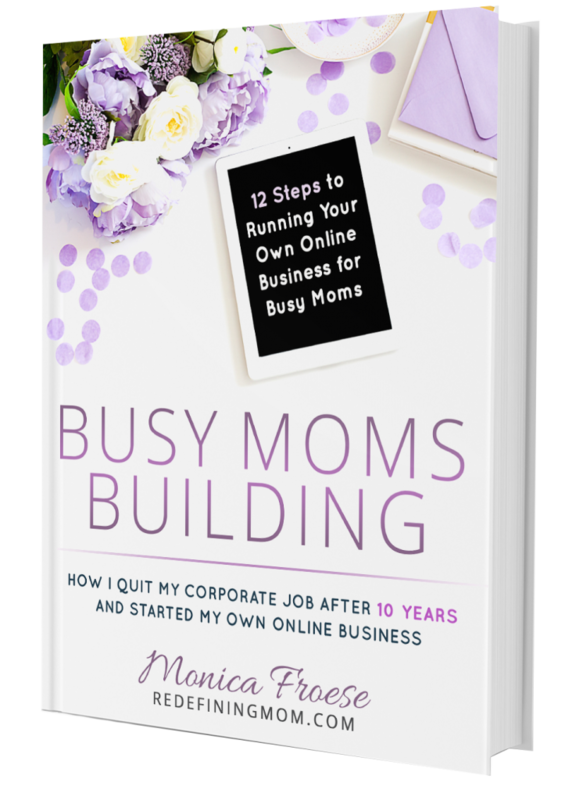 Busy Moms Building is an amazing resource for moms who are looking to turn their passion into a profitable business, written by me! In 12 easy to follow steps, you can build your own online business in 45 days! What I love about it: It’s based on my experience as a corporate mom who struggled after returning from maternity leave 3 years ago. I wanted to take my corporate skills and create my own online business so I could have the flexibility to balance work and family a little bit better. I spent the next 2 years feeling completely overwhelmed and researching endless ways to make money online, but I never actually took action. In January 2016, I quit my corporate career to work from home, and by August 2016, I built my business to the point where I could quit and be self-employed. I am going to show you how to do the same in 12 steps that can be completed in 45 days! Elite Blog Academy is a course by my favorite and very first blogger that I ever followed, Ruth Soukup of Living Well Spending Less. She is a blogging guru and her 12 unit course helps you turn your blog into a business. You can check out my review How Elite Blog Academy Helped Me Earn a Full-Time Income Online. This course is only available once a year, so be sure to get on Ruth’s email list so you don’t miss out next time it opens. What I love about it: EBA is built as building blocks. Instead of throwing a bunch of advanced strategies at you and sending you on your way, EBA builds each concept off of the last one. EBA will lead you through 12 different units and 36 assignments. It teaches you how to be intentional with your blog so that you don’t waste time spinning your wheels. Because EBA was built to be taken in 12 unique steps, it stops you from getting overwhelmed with too much information coming at you all at once! Pin Practical Masterclass shows you exactly how to convert your Pinterest visitors into email subscribers! In just 9 months, I grew my email list from 52 to over 14,000 for free using Pinterest…seriously! 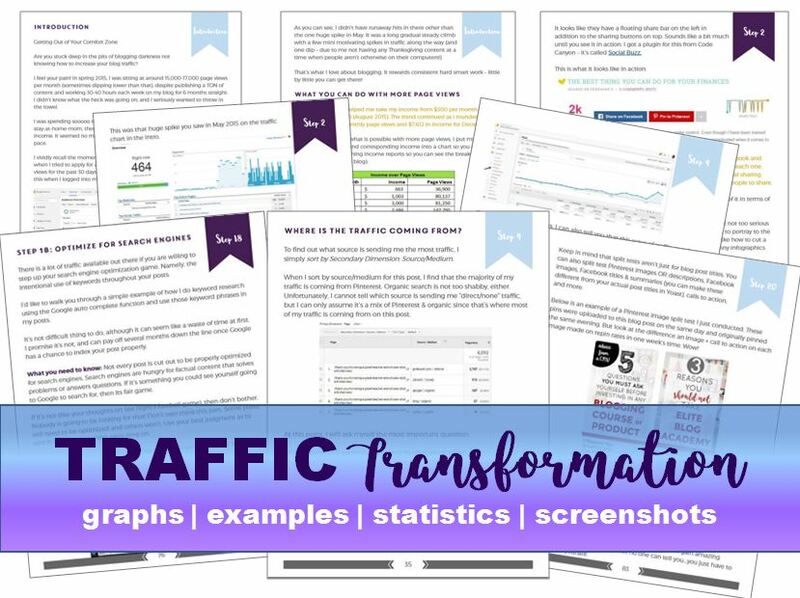 Traffic Transformation: How I Went From 17K to 400K+ Monthly Page Views in 9 Months by Lena from What Mommy Does. I had the pleasure of meeting Lena at a business mastermind event recently and when she told me about her book I read it between sessions so I could talk to her about it. This book is full of practical advice on how to grow your blog’s traffic. What I love about it: Lena decided she was fed up with spending hours upon hours working on her blog but seeing little growth. She documents the 21 strategies she used to see explosive growth in a short period of time. Browser to Buyer is a new course offered by Abby Lawson of Just a Girl and Her Blog. Abby and her husband Donnie are experts when it comes to converting website traffic into email subscribers. The one thing I am the most passionate about in online business is growing your email list. 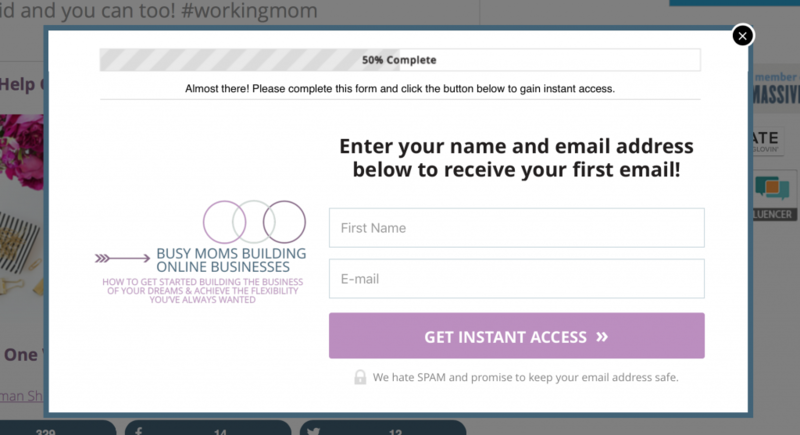 Unlike social media, your email list is an asset in your business that you own. What I love about it: I love how Abby and Donnie work together to leverage their strengths in this training. Abby teaches us the strategy behind growing your email list and Donnie covers tech training. 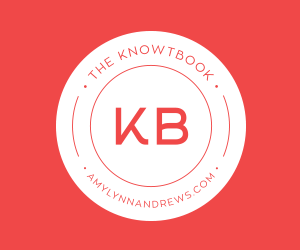 My Knowtbook is a fantastic value for a wealth of information on how to blog, market your blog, use affiliates, and many other topics. It is written by veteran blogger Amy Lynn Andrews. I refer to this every day and the best part is Amy keeps it updated with new materials almost every day because she uses Workflowy to host the information. What I love about it: This is a different type of product because it’s a living document that Amy updates in real time as she learns new tips and strategies for online business. I love how the format is kept in bullet point format with the option to expand on each bullet. Also, the ability to search for specific terms makes it easy to use. 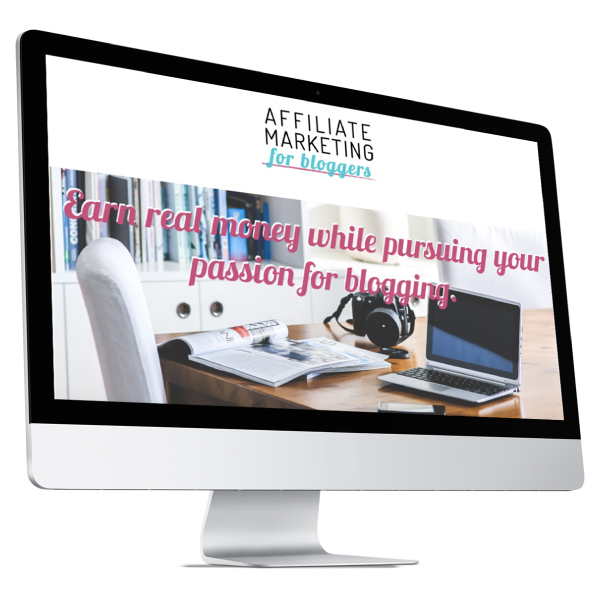 Affiliate Marketing for Bloggers is my new go-to affiliate marketing course and for the price, you really can’t beat it! Tasha takes you through the backend of her blog to show you exactly how she implements her affiliate marketing strategy. 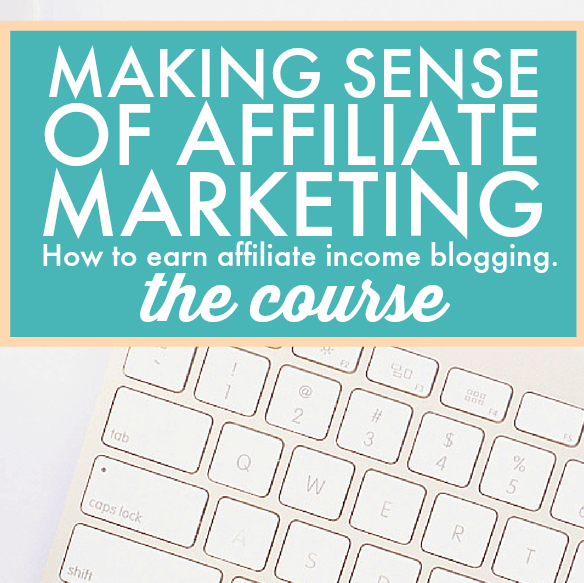 You’re not only getting the basics of affiliate marketing in this course, you’ll learn exactly how to use affiliate strategies that work for bloggers in all niches! What I love about it: I particularly love that Tasha’s main website is not for helping bloggers learn how to blog. 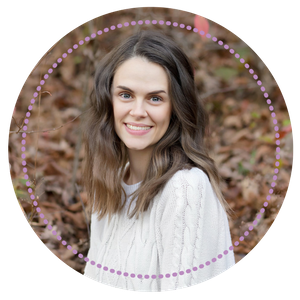 She uses these affiliate strategies to run a $200k/year home decor blog! Making Sense of Affiliate Marketing is written by Michelle of Making Sense of Cents. She makes over $50,000 A MONTH in affiliate marketing and gives away all her secrets on how to successfully make money through affiliate marketing in this course. What I love about it: Michelle started earning over $50,000 in affiliate marketing sales in under 2 years and she shares the exact strategies she used to get there. The course is packed full of relevant information for newbie and advanced affiliate marketers. She spends 40% of the course set up the practical side such as legal disclosures and the technical aspects such as using the Pretty Link plugin to make affiliate URLs look pretty (highly recommended)! She uses the other 60% of the course to dive into exactly what she did to grow her audience and sell affiliate products effectively. 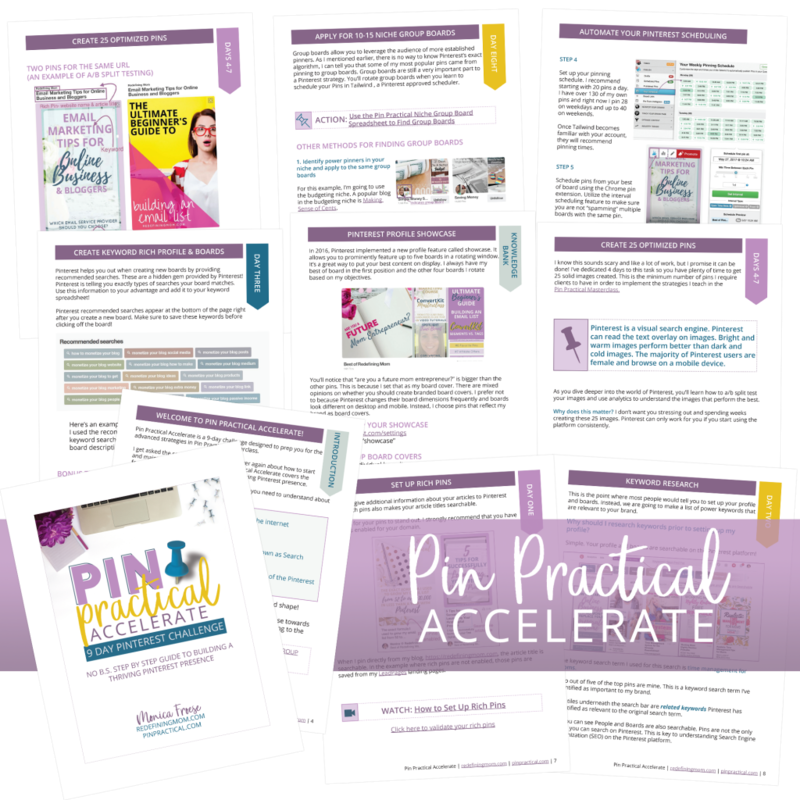 Pin Practical Promotions is my next-level course on how to leverage Pinterest ads to grow your email list and make sales! What I love about it: This is truly where you get a behind-the-scenes look into my analytic brain. I cover everything you need to know to convert Pinterest traffic into loyal customers at a low-cost to you! Never stop educating yourself! Once upon a time, I had no clue how to register a domain, set up hosting or what the heck WordPress meant. Blogging is a marathon, not a race. The winners are not the ones that sprint to get everything done as fast as possible. Your expertise will grow over time. The best part about blogging is that it gives you the ability to be creative and think of new ways to engage your own audience. You are doing this to grow a community that you’re passionate about, not to check a box every time you complete a task. The to-do list you’ll create will be never-ending. The ideas and logistics of running a blog will seem endless. But let me tell you, the first time a reader sends you an email saying something you did or said made an impact in their lives, you will be hooked. There is nothing better than being able to help other people while doing something you are passionate about. For a complete list of all the resources I recommend for running an online business, check out my Blogging and Freelancing Resource page. Wow! This was beyond helpful! I love how you broke down each stage of blogging and which resources are appropriate for that particular stage. I am currently on Stage 2 and I have been finding an overwhelming amount of information for Stage 1. I will be pinning this to refer back to as I advance to the other stages. Hi Paige! I am so glad you found this helpful, feel free to ask me any questions you may have! Whoa, this is awesome! What a truly comprehensive blog post! I am in the beginning stages of starting a blog, and hope to launch within the next few weeks, and this post really cleared up a lot of questions for me. I appreciate you linking helpful books and online courses as well. I purchased Suzi’s book and am about to hit it hard now! Thanks! Wow…that was a lot of information. Everytime I think I have read just about everything there is to read on starting a new blog I find someone new with information I have never seen before. This qualifies no doubt. I just wish I would have found this blog first, might have saved me a lot of time and potential heartache. As you guessed I am very new at the blogging thing and am very slowly building my blog from scratch. It has been a heck of an adventure so far. I have not made a single cent yet on my blog but I realize that may not happen for a year or two even, just hard not to get impatient when I read all the wonderful stories from others about how well they are doing. I hope that incorporating some of the things you have shared I can improve my blog and get it working even sooner. Well thank you again for this wealth of information and hope you have a wonderful week. This is such an awesome page for all of the blogging resources that have helped you. I appreciate your honesty about being in analysis paralysis for 2 years. I was in a similar state for many things when it came to my blog. I had a problem with using affiliate links. I didn’t want to be a salesy person. Although I don’t use affiliate links in every post, I still make a conscious effort to offer products to my readers that will help them. Again, this is a great list. Something you would see in a freebie. Love it! That’s amazing that you can do a small load at the same time as your larger load! What a time-saver and so convenient. Wow, this is a goldmine of blogging info! This is absolutely amazing! Thank you for all this info! I do have a question: I’m pretty sure EBA recommends using Bluehost as the hosting service. However, you use Siteground. Why did you decide to use something different and how did you make the decision? I am so ridiculously stuck on this step! Thanks!